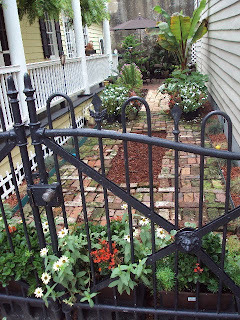 I had a thought earlier this week on Charleston, SC and the small little patio or courtyard gardens that are between houses there. 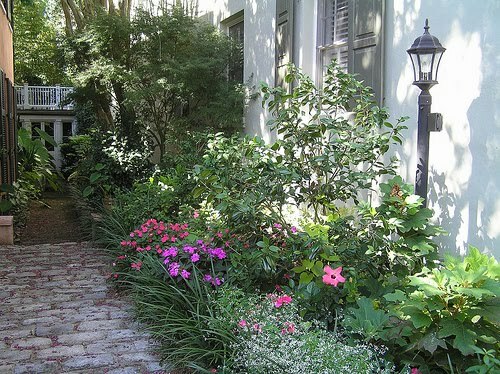 I prefer big open spaces and a large yard but I've been thinking a lot about container gardening this year and thought of Charleston so I googled some images for inspiration. This one grabbed me because there are lots of containers grouped together making it look as if they are permenatly planted. The bananna tree in the center of the larger group anchors the grouping well. 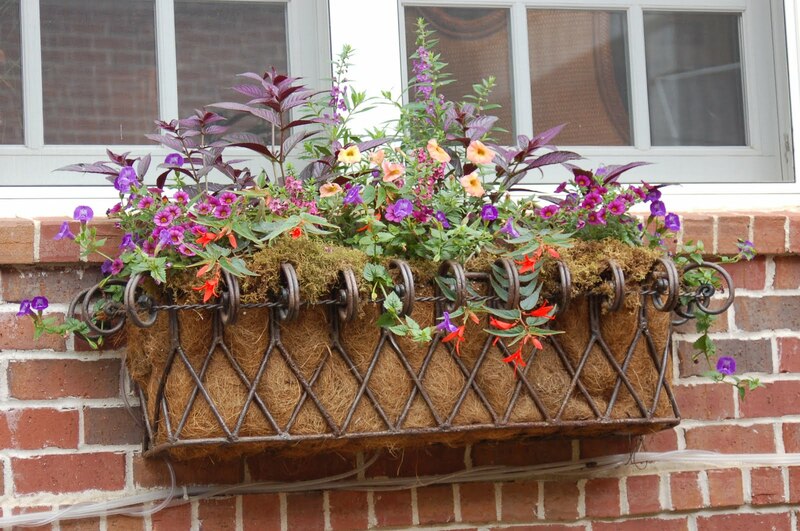 Love the cascading plants in this window basket. 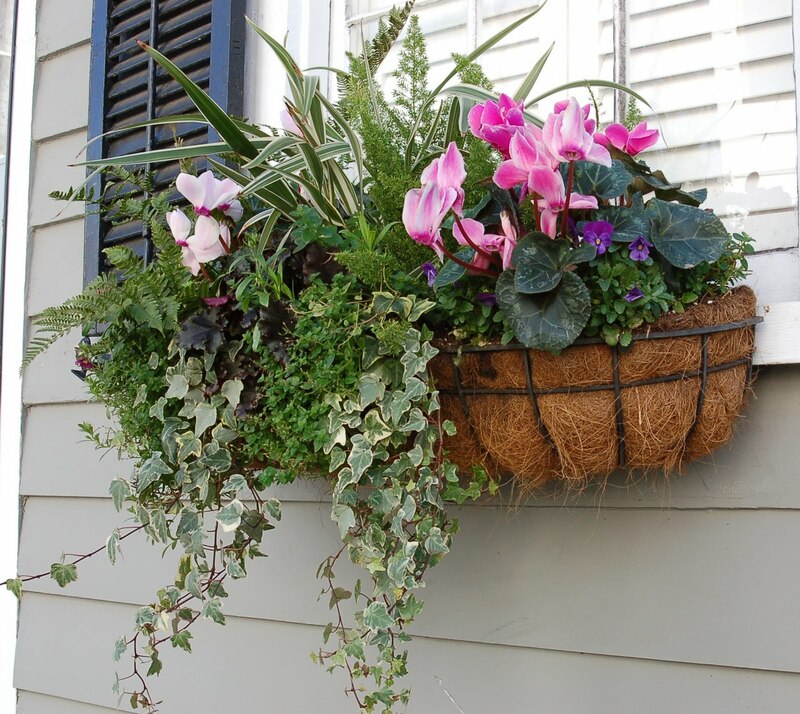 This planter will grow out nicely, lots of these plant get really big. 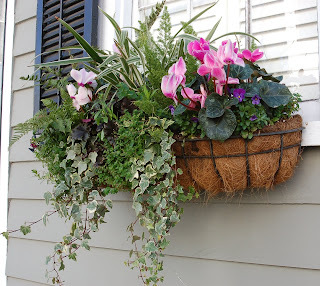 I loved that this one came up in my search because the little orange flowered plant is bonfire begonia and I LOVE THEM! It's hard to find bigger plants around here, but these bloom all summer and look like firecrackers! This is such a pretty garden and walkway. I bet there is a beautiful patio around that corner. I am envious of a nice shady spot like this for plants, because let's be honest, all plants grow better in the shade here in the hot south. 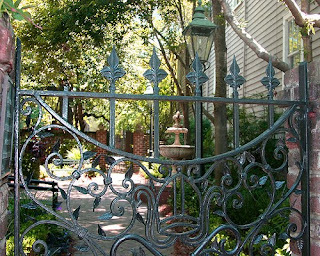 Had to include one pretty iron gate. If you've never been to Charleston, GO! And walk slowly through the neighborhoods to soak it in. 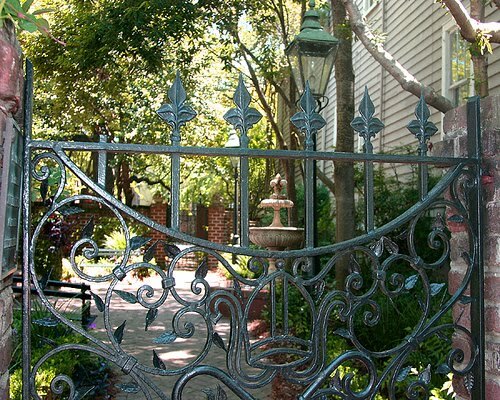 The Festival of Houses and Gardens in Charleston start tomorrow and runs through April 16th. I want to go the festival! 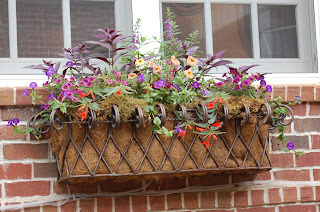 wow, wrought iron art, I like it!